One of my favorite things about my daughter attending Japanese School is that we have access to their library! I’m actually a library volunteer so I get to see all the new books and DVD’s as they come in. This week, one of the books we borrowed was called “くろくんとふしぎなともだち” (The title translates to “The Black Crayon and the Mysterious Friend”). Both my 2-year old son and 4-year old daughter were completely attentive as I read this book to them. I think it is so appropriate for the black crayon to be the star of these stories! With the amount of drawing we do around here, we go through the color black very quickly. I think crayon companies should include at least 2 blacks in every box (Crayola, are you listening?)! What are you favorite children’s books lately? I would love some recommendations. Cute and clever, right?!? She has such a creative preschool teacher. 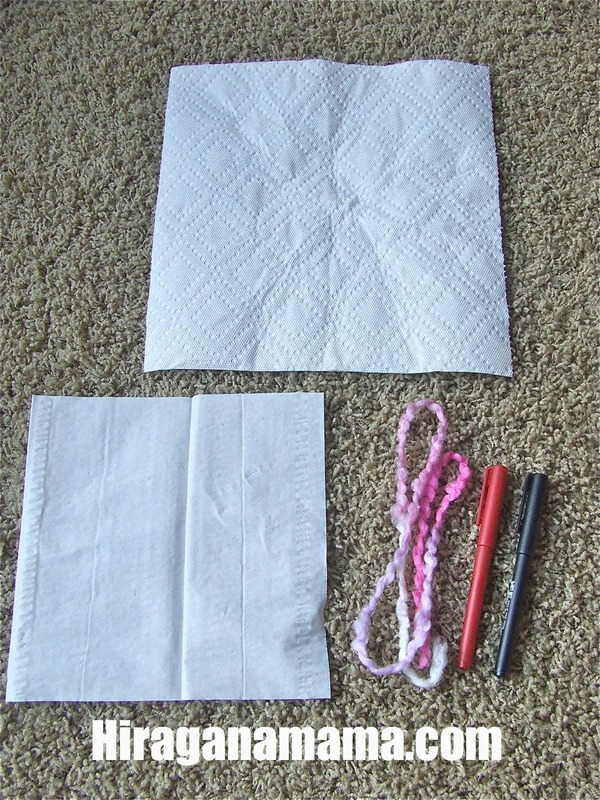 (Another lady made something similar out of fabric, here). My daughter had her first undoukai last weekend and had a blast!! 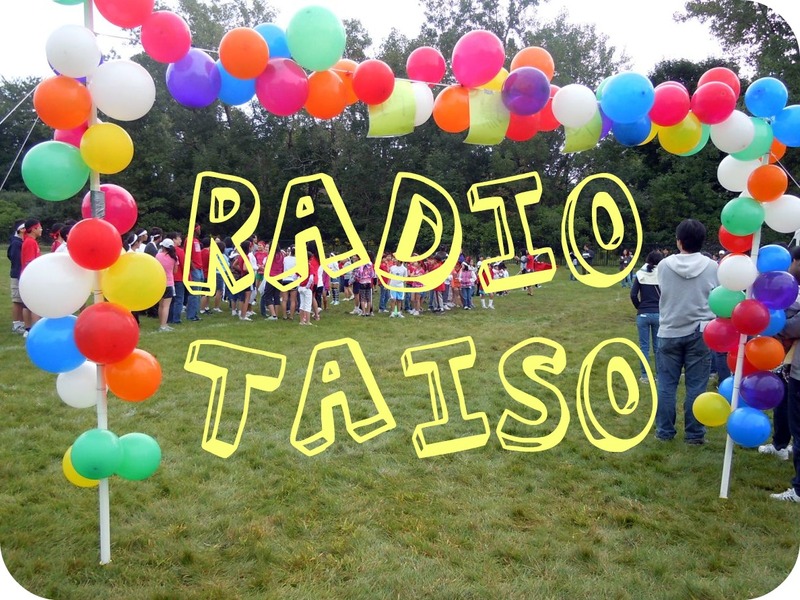 Before the students began their races and other events, they warmed-up their bodies with Radio Taiso/ラジオたいそう. It was really cool to see the entire student body (and teachers) moving together. My parents taught me these exercises when I was young (and of course I thought it was so stupid back then) but now I see the benefits of this warm-up exercise. 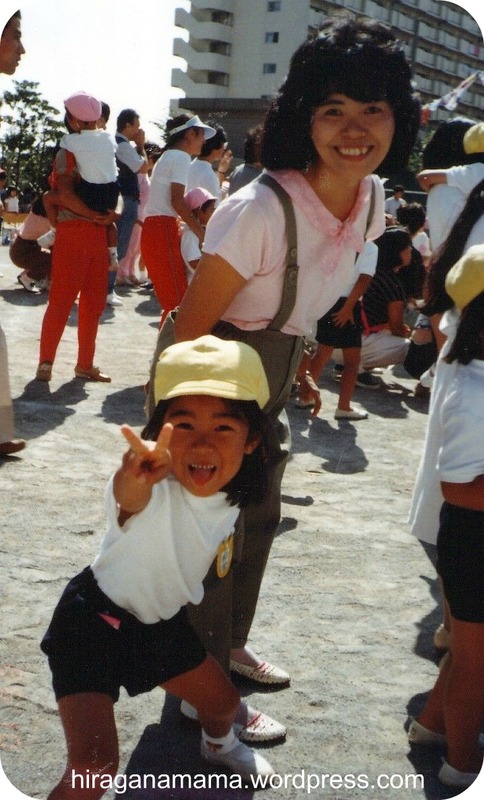 Everyone in Japan, from preschoolers to senior citizens, seems to know these routines. It is, after all, the “Anytime, Anywhere, Anyone” exercise. Try it before your next work out, or right after you wake up in the morning. People swear that it will give you a good start to your day. Instructions for the exercises found HERE. When we received our school supply list for Japanese school, we were told to label EVERYTHING with our child’s name. I thought, since we’re sending her to Japanese school, it would be great to label all her stuff with her name written in Japanese… and I definitely did NOT want to hand-write her name on all 24 crayons, 12 markers, etc. So I searched for a company that would make them for me :). When it comes to name labels, some companies charge an arm and a leg for personalized labels! Ridiculous. Luckily, I found a great store on Etsy called GloriasSticker. Her labels were just what I needed. Small, could be personalized in hiragana (and many other alphabets), and only $3.99 plus 90 cents ($1.49 for other countries) for shipping. PLUS they are so cute! I ordered a set of Hello Kitty labels. I asked the store owner to print half of the stickers with my daughter’s name in Japanese and the other half in English. They arrived quickly and stuck on her school supplies really well! Anyway, I just wanted to tell you about them because I thought her store was a great find! 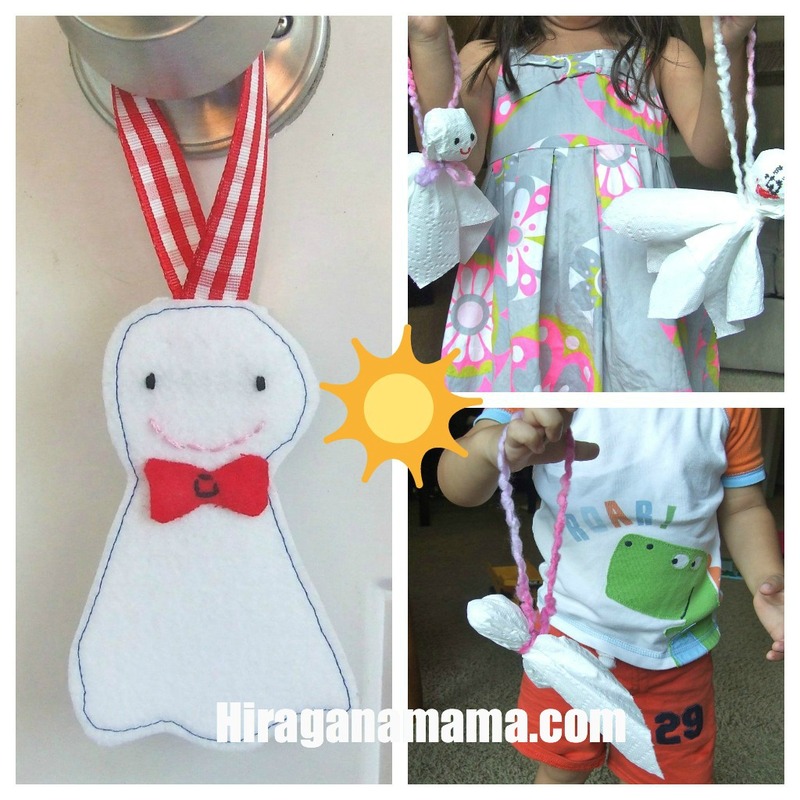 They would also make a great gift for a child you may know that’s starting school soon. I hope you will share with me any “great finds” that you know of! *Just FYI I have not received anything from GloriasSticker, this is completely unbiased and my own opinion. 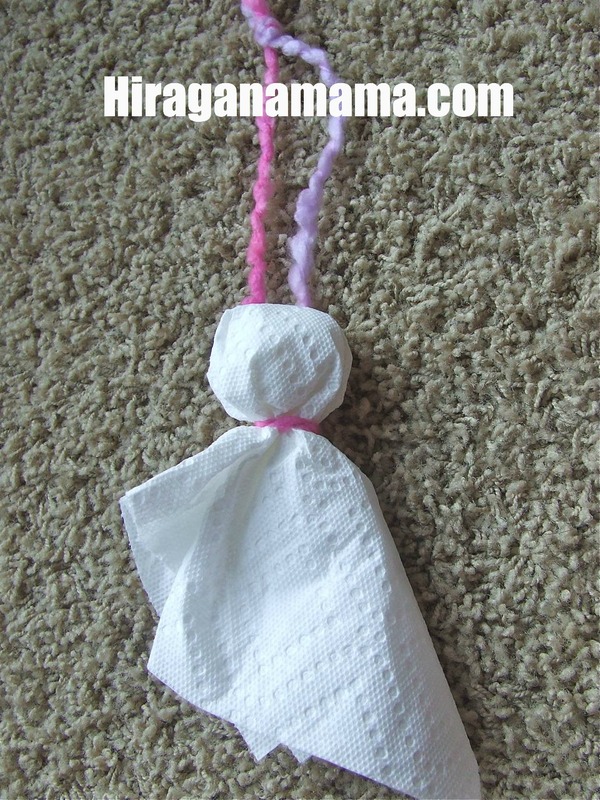 I just knew that some of you would love this for your kids and wanted to share!